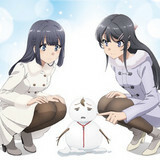 Crunchyroll - KONOSUBA's Dub is the One Sub Purists Have Been Waiting For! KONOSUBA's Dub is the One Sub Purists Have Been Waiting For! For many years, there has been that great debate among Western anime fans. As far back as there has been anime localisation there has been this omniprevelant topic: should anime be watched with the original Japanese audio track and subtitles, or should it be watched as an English dub? With the former you get the original experience, free from any localisation liberties and featuring outstanding vocal talent from Japan. With the latter while you get an ever-so-slightly altered experience, you're met with the liberty to not have to read every single line of dialogue and as such are given an opportunity to appreciate more than the lower half of the art and animation whenever someone is speaking. However, it wouldn't be a debate if both didn't have their flaws. Reading dialogue can become taxing and may not be worth it just for an authentic experience, but dub production is an intricate process that leads to dialogue changes in order to do things like match lip flaps or make dialogue more relevant to the audience. If only there was a way to gain the positives of both: outstanding vocal talent, dialogue as faithful to the Japanese script as possible, and an authentic experience without having to read every line of dialogue. As if to grant this wish, out came the English dub for KONOSUBA - God's blessing on this wonderful world! and it gleefully delivered on all fronts! At long last, an English dub has come to settle the debate. What? You don't believe me? Well then, if you're going to be so hard to please then a deeper look is in order! The main cast of characters that fans of the series have come to know and love have each been given perfect English voices, but let's start with the masochistic crusader of the party, Darkness! 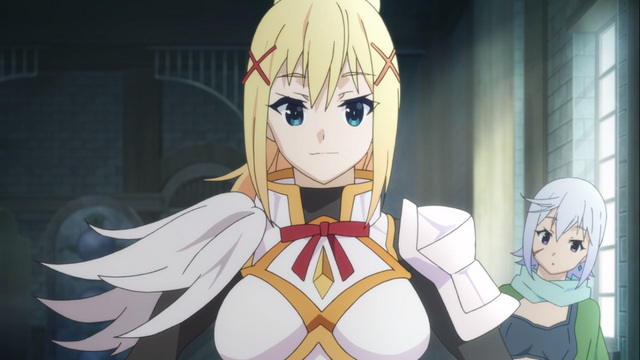 Darkness’s most iconic traits can more or less be boiled down to someone with the speech patterns of a noblewoman but deep inside is incredibly perverted, looking for any opportunity to live out her greatest masochistic fantasies. 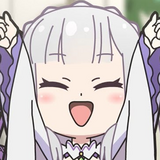 She always more or less holds true to these two points which makes finding vocal talent that could also stand true to these two points when in character a bit difficult. That being said, Cristina Vee was able to do so with flying colors. As Darkness, Vee keeps the noble sound through the inflection in her voice and always speaking with polite sentence structure. By avoiding contractions throughout her dialogue and having a stereotypical noble voice she fulfills the first part of the character easily, but where Vee's performance really shines is when Darkness is in a few less than noble situations. Vee convincingly delivering lines backed with the perversion of Darkness's desires while maintaining that polite sentence structure and noble voice is what makes her fit the character perfectly. Next up to bat we have the crimson demon, lover of explosions, and young arch wizard with chuunibyou speech patterns, Megumin! As beloved as Megumin is, surely there isn't any voice actress capable of surpassing let alone matching Rie Takahashi's performance. At least, that's what I would say had Erica Mendez not done exactly that. Without any doubt, this explosive wizard's most memorable selling point is the thing she loves more than anything else, explosion magic. 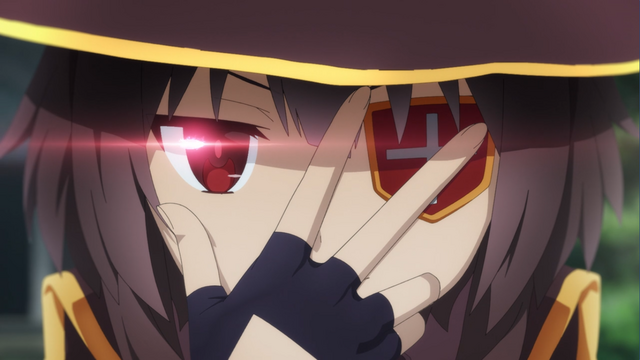 Without a doubt, Mendez does Megumin justice by capturing that chuunibyou persona she dips into when it comes to magic as well as the way she talks when she isn't caught up in delusions without it sounding awkward or over-done. In addition, Mendez's chanting of the incantation for explosion magic truly captures the might of such a terrifying spell, which easily makes the already excellent performance even better. 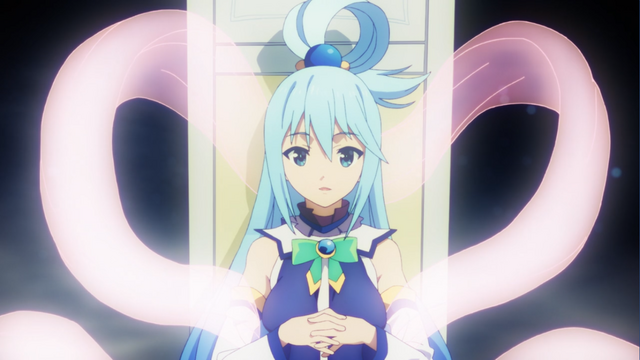 Next is the goddess and arch priestess to thank for this fantasy adventure, the beautiful and almighty Aqua! Surely matching the grace and honor in a goddess, as well as the pathetic fits she throws on a regular basis, would be an impossible feat. As a goddess she deserves nothing less than the best vocal talent for the role. Just as she would ask for, Faye Mata did nothing short of excellent as Aqua. 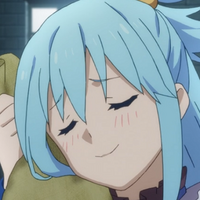 The most iconic elements of Aqua's personality are undoubtedly the moments when she acts like more of a child than a goddess while still being high and mighty about her behavior. Whether it be the character's fits or moments of unbridled selfishness, Mata's performance captures it all effortlessly with charisma easily equal to the original. The best way to highlight how well she does as Aqua is episode 5. Every inch of Aqua’s personality is explored from throwing tantrums to calm and praise-worthy, all with Mata not missing a single beat. 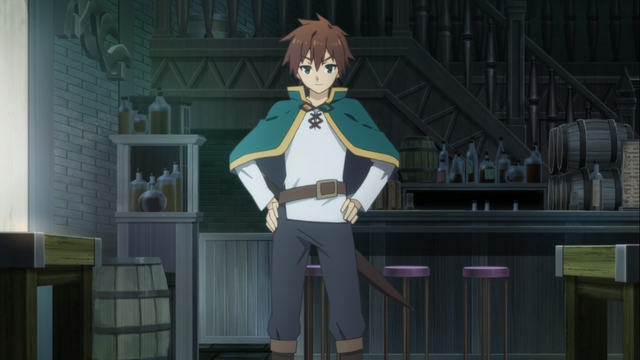 Lastly, we have the main hero and star of the show who has no shortage of iconic lines that make him arguably the hardest shoes to fill: Kazuma! While he may not be a noble crusader, an overpowered wizard, or a worshiped goddess, this shut-in NEET would be the performance every single fan of the original would watch the most carefully. So, exactly how well did Arnie Pantoja do in this role? Well, he did flawlessly. Every single aspect of the character was captured perfectly: the cut-ins when other party members say his name, the sleaziness in his voice when he comes up with an immoral plan, the borderline maniacal laughter he lets loose, and the frustration when other party members push him over the line. Pantoja was able not only to convey a performance that matches every note the original hit, but the localisation in the dialogue is as faithful to the original script as it could be. Rather than the English feeling out of place or the Japanese script's meaning altered, Kazuma and the whole cast's dialogue feels increadibly fitting. 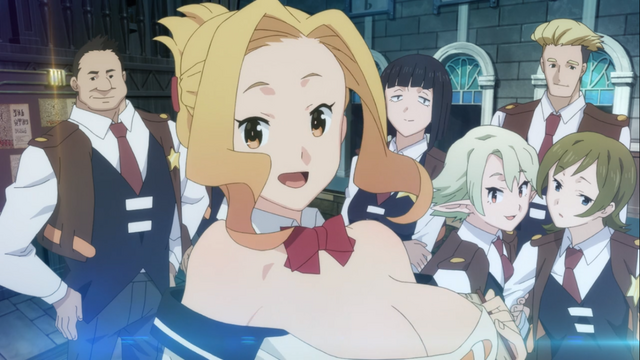 The English dub for a show like KONOSUBA can go wrong half a million ways even with unreal amounts of effort put into it, but despite the risk KONOSUBA's dub wouldn't be done justice by describing it as stellar. It's clear that casting, scriptwriting, ADR, and everything else had unimaginable amounts of effort put into it and boy did it pay off. What did you think about the dub? 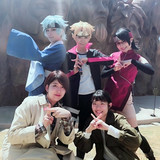 Who's your favorite English voice actor in the cast? Let us know in the comments!